Experience to teach you to play piano, guitar, violin, bass and banjo at Euphonic Studio in Mount Vernon, Iowa… call 319.895.8002 today to arrange for a free, no-obligation introductory piano lesson. This is where piano theory is put into practice. Learning the motor skills to play piano is literally in your hands, with our guidance. I began my piano lessons in 1956 and teaching piano in 1968. During my professional life, I practiced 4 hours a day with an organized regime and then performed with other musicians 4 hours every night. This experience has helped me develop insight to piano study that I bring to each of your piano lessons. 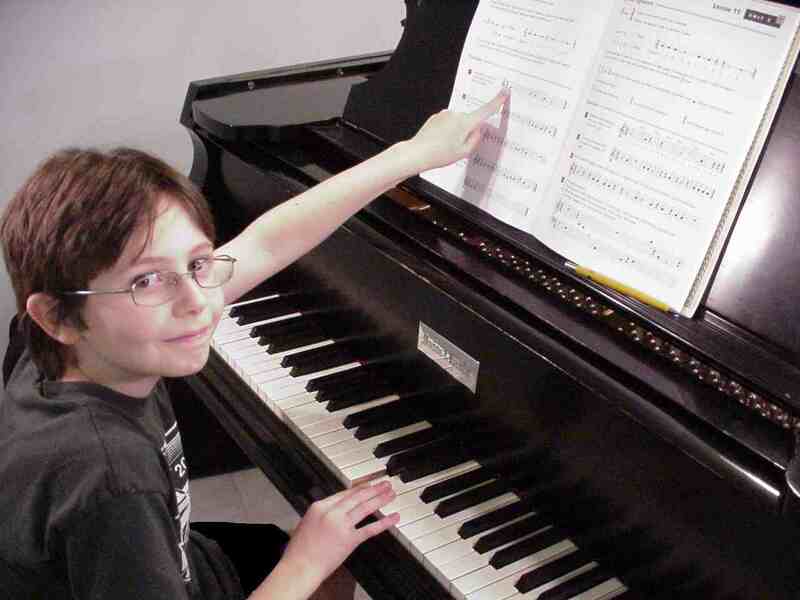 Learning to play the piano is the best way to develop musicianship. Even if piano is not your primary instrument, the process of learning piano will build and broaden skills that will provide a solid platform for learning any other instrument. Most college music programs have a piano requirement. Here are a just few of the many reasons why I believe you (or your beginner student) should consider piano instruction. First, the art of piano playing has been practiced and taught for hundreds of years by composers and keyboardists of unimaginable skills. 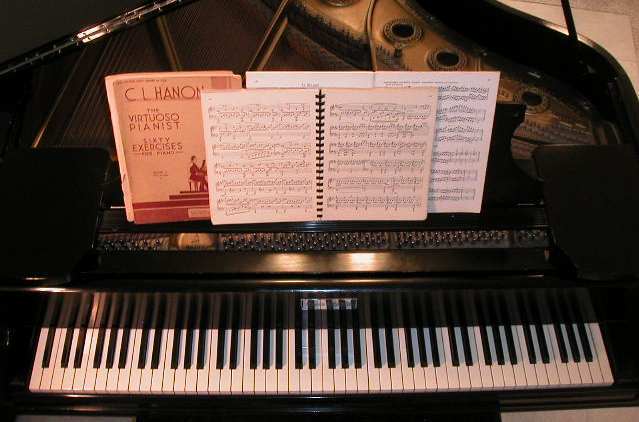 There are thousands of piano methods books and countless pieces to play in all styles of music. Second, learning piano is goes along well with learning music theory. The course I use for young beginners, the Bastien Course, has a separate theory book starting from the primer level. You will learn to read music and build a thorough understanding of the concepts of keys, harmony, and rhythm. These music theory concepts apply to every instrument, not just piano. Third, the piano keyboard is very graphic in nature, so it’s easy to see what you’re learning. If you were trying to design a computer interface for an 88 note instrument, it’s hard to imagine what could be better. It’s all there in front of you. You can see and touch intervals, chords, scales, and it visually models exactly what you are hearing. Fourth, piano is a touch instrument that teaches the student to use different playing techniques to produce different sounds. Fifth, piano playing develops coordination of both hands and therefore left/right brain cooperation. This is beneficial in child development. The last thing I’ll mention is really a life-goal item. It’s been my experience that of all the instruments kids study, piano is one that they are most likely to continue playing when they are adults. (The other is guitar). The instrument is self-contained and there is a lot of literature for piano. If you have a few minutes of recreational time as a busy adult, you’re likely going to enjoy sitting down at the piano and playing a few songs. It really is a good de-stresser and lets you get in touch with your artistic self. At Euphonic Studio you will be taught music theory and piano technique using the experience I have accumulated by studying and playing piano for over 6 decades. If you are a beginner with no previous musical training, I’ll recommend the Bastien piano course. They have series of books for children and adult students that cover music theory, piano in general, piano technique, and performance. I met Jane and James Bastien at a piano teachers’ seminar back in the 60s. If you are already using another course, you may continue to use your course material or change to Bastien. What about electric and electronic pianos? There are some that are much better than others. The better ones tend to be more expensive, but the action is usually going to be more like a real piano. Ask the salesperson to give you a comparison between the electronic and an upright acoustic spinet.